I always love to hear of a good new bike hack that I could use while riding. Some will help when cleaning my bikes, others for my downhill racing and some are just plain useful that everyone should use. I have tried to compile a list that doesn’t require too much DIY or modifications to your bike as not everyone is willing to spend that much time on something. 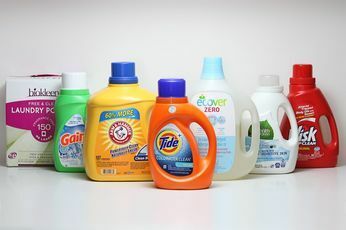 Wash up with Powdered Laundry Detergent. Whether you ride Fixie or Downhhill, it doesn’t matter. Every biker knows that there’s no way to keep yourself completely clean when washing or fixing your bike. Grease and oil just have a way of getting themselves all over us and then manage to get onto everything else we touch. It’s a never-ending cycle of dirt. If you know this then you’ll also know it’s not very fun trying to get any of it off. Washing your hands with soap and water will do the trick but who knows how long it will take and you’ll probably still be left with a load left in little patches. Powdered laundry detergent works a treat when trying to get oil and grease off your skin. After cleaning your BMX or Mountain Bike you should grab a bit before you head to the sink. Be warned though, laundry powder can be tough on your skin so don’t use too much or too often. Know any other brilliant ways to get clean after greasing your bike chain? Leave a comment below. As many people know, bike inner tubes have two main types of valve, the Presta valve and the Schrader valve. For those who can’t remember the difference, Presta valves are the long thin ones. 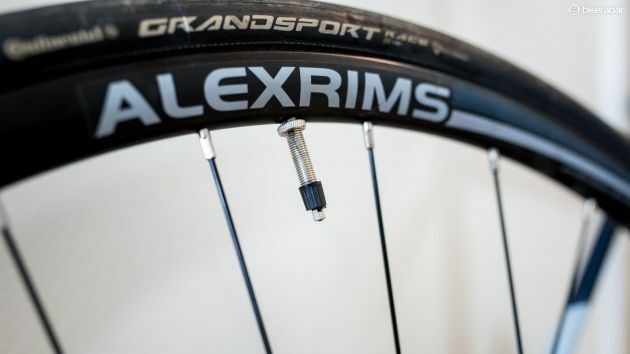 While both have their advantages and disadvantages, the Schrader valve remains the most common among bikes and pumps. A lot of pumps only have the ability to pump up one or the other type of valve. Now, if you’re out on the trails with your mates and get a puncture but have the wrong type of pump then here’s a lovely little bike hack. You can use a valve cap as a valve converter. Unfortunately, this only works as a Presta to Schrader converter but that is the most common problem anyway. Relying on the fact that you kept the valve cap when you first got the inner tube, you can cut off the top of the cap, just like in the image above. If you then screw it onto the step of the valve it provides a great temporary fix. This isn’t a perfect fix at all but it should help you out if you’re in a sticky situation. I recommend that if you’re going to do this, try and use a compressor or electric pump, the amount of movement caused by using a hand or foot pump is likely to break the seal. If you want to be more prepared than all us other riders then there are real converters that you can buy fairly cheaply. Use the link below to buy some if you’re interested. Getting grease on my clothes is the most annoying thing for me when cleaning bikes. I have wasted a lot of money and countless t-shirts due to getting oil on them and not being able to get it out. I can deal with getting it on my skin because it washes off eventually but when you get mountain bike oil and grease on your clothes it’s very hit and miss as to whether it’ll come out or not. If you get a sponge on it immediately and then straight into the washing machine then you stand a good chance of getting it all out but if you’ve got a massive mark on your back where you didn’t see it then you normally have no chance. Fairy liquid and other washing up liquid are a nifty little way of getting oil and grease out. 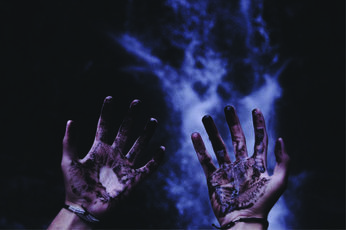 Take care of those hand marks you made after resting your hands on your hips thinking about something or those spots you got when you leant against or dropped your chain. To use this just apply it to the affected area as you would any other stain remover before you put it in for a wash. Hopefully, when it comes out it’ll be like brand new and ready for your weekend mountain bike ride. To prove just how good this is, oil and rescue workers use this stuff to clean up after an oil spill. Fairy liquid is also extremely useful at getting stuck bike grips loose but be sure to only use a little and only if you absolutely need it because no matter how much you wipe it off, the next pair of Bike grips you put on will be sliding all over the place for about a week. Banknotes for a Tire Patch. Getting a puncture while out riding is one of the most annoying things that could happen. The fact that it’d be so easy to fix if only you were back home but there's just no chance. Even when you do have a puncture repair kit it the patch often only works for a little time anyway. This hack isn't really to help with punctures although I guess it is a good way to avoid them. This could also be useful if you do get a puncture but manage to repair or replace it. To get a puncture by penetration, something sharp obviously has to go through your tire and then into the inner tube. This may just be a little thorn, in which case you probably don't need this hack, but in other cases, you may get a big hole or slit from a knife. These are just examples, there are obviously so many ways to slit your tire open. That hole in your tire does two things that you don't want. It increases the chances of getting a puncture tenfold. Little sharp sticks or stones will get in with ease and then just pop your inner tube with ease. The air pressures inside inner tubes can often get pretty high (Over 90 PSI on some BMX bikes) and that means an inner tube is going to push and squeeze itself into any hole it possibly can. This throws off all the balance in the wheel and often you can have a giant bulge pushing out of one of these holes. The fix is to use either a business card, bank note or something similar for a temporary patch on the hole. 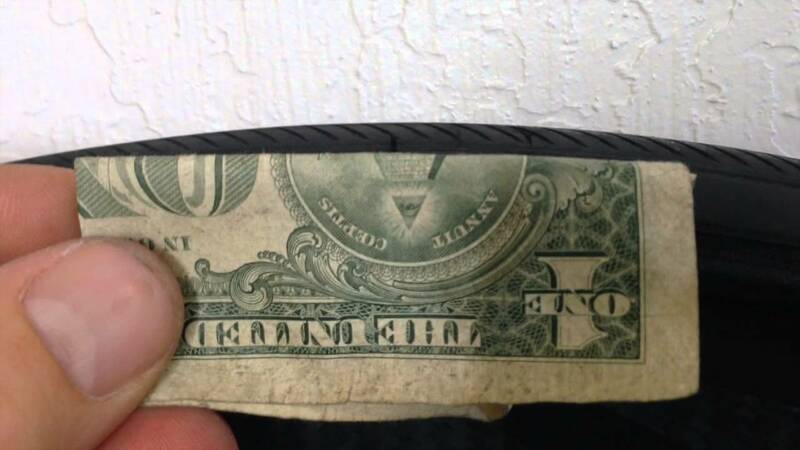 If you simply place a bank note on the inside of your bike tire before putting your inner tube in and pumping it up. The pressure of the inner tube pushing against the note or card should have a big enough surface area for it to create a solid seal and it’ll be good for the ride home. If you live in the UK and need to try this be sure to use one of those new plastic £5 notes. They are made of a much stronger and better material than previously and will be more reliable for your ride home. This hack is one you should have got to know extremely whilst growing up. I certainly did, living in England means you’re never too far away from getting caught out in the rain or finding a great muddy track to ride down. I think 75% of the time I go out riding I come back with wet shoes. It’s just something that happens all the time and if I want to go out riding the next day then I need to get them dry quickly. 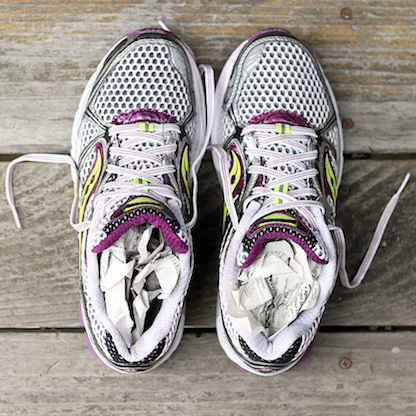 It’s very simple but putting some scrunched up newspaper inside your shoes will absorb a lot of moisture and dry your biking shoes out a lot quicker. Clean Frames With Furniture Polish. If you’re one of those people obsessed with getting their BMX or MTB frames as clean and shiny as possible then this hack will be perfect for you. 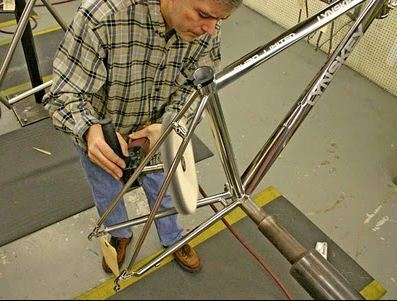 Furniture Polish is absolutely brilliant for getting that final shine and sparkle on your frame. This is a perfect one for when you’re selling some bike parts or just want to look all nice and shiny for your next ride. To apply the furniture polish to your bike, it’s recommended that you spray it onto a clean rag before rubbing on your frame and other bike parts. I say this because getting any on your disks, rims or brake pads will prevent you from being able to use your brakes properly for ages. 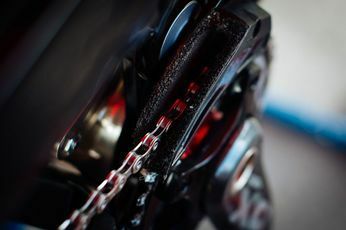 Mastering the skill of cleaning and spraying your bike chain without getting anything on your brakes is important when getting into the world of bikes. It is often a catch 22 situation, you can’t take your wheel off because then you can’t spin the chain but that means you’ll find it extremely difficult to take care of your chain properly without getting anything detrimental on your brakes. In this guide, you’ll find two methods of getting around the problems I just mentioned above. The first one is to tape two toothbrushes together facing each other. You then have a couple of options. You can just put the chain in between the two sets of bristles and run your chain through it a few times. This will take any excess gunk off your chain. 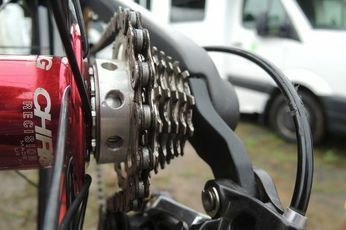 After doing this it's a good idea to cover as much of your chain and the bristles as you can in something like WD40 and run your bike chain through it again. 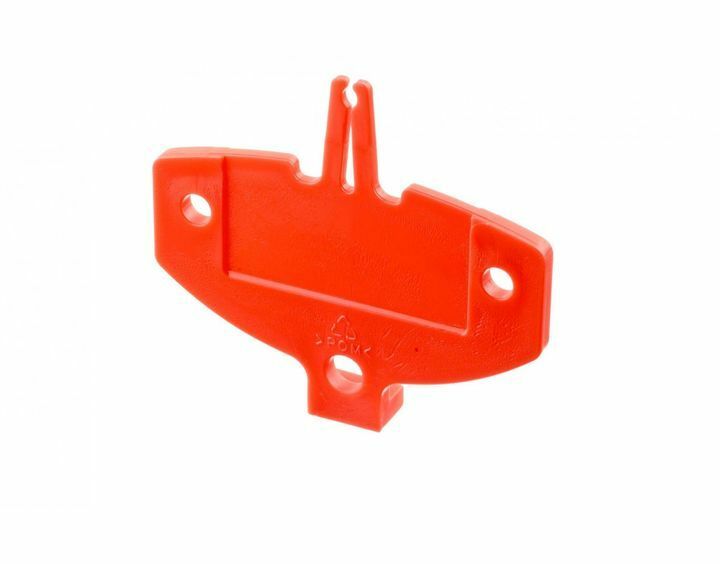 This will eliminate the risk of you getting unwanted liquid all over your brakes whilst at the same time spreading the lubricant evenly over your BMX chain. This last section is more important than you think because if you just spray a lot at certain sections and then spin your cranks a load of times you'll have a lot of spray go all over your bike, getting in your bottom bracket, on your brakes and in all the bearings you don't want degrease to go. This one is another brilliant way of getting your shoes dry. 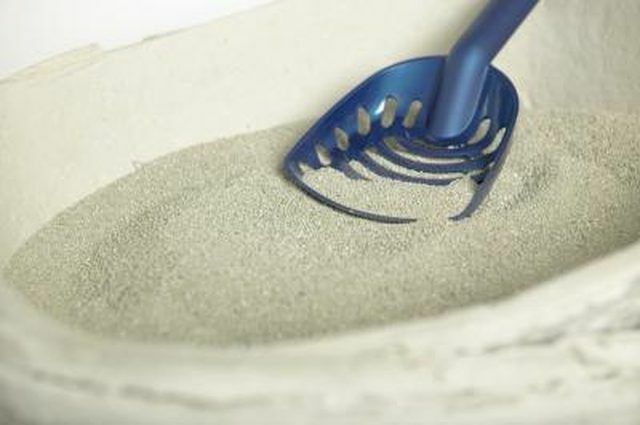 Cat litter is a great use for many things. It can be used as grit on icy roads, a dehumidified, a deodoriser and is also an important ingredient in mud masks. Using said cat litter in your wet biking shoes is a second brilliant way of drying them out and also eradicating any bad smells. To use cat litter for dehumidifying your shoes, firstly put a load in a pair of tights or socks and then stuff this into your wet shoes. Leave your socks or tights for a couple of hours or overnight and they should be dry. 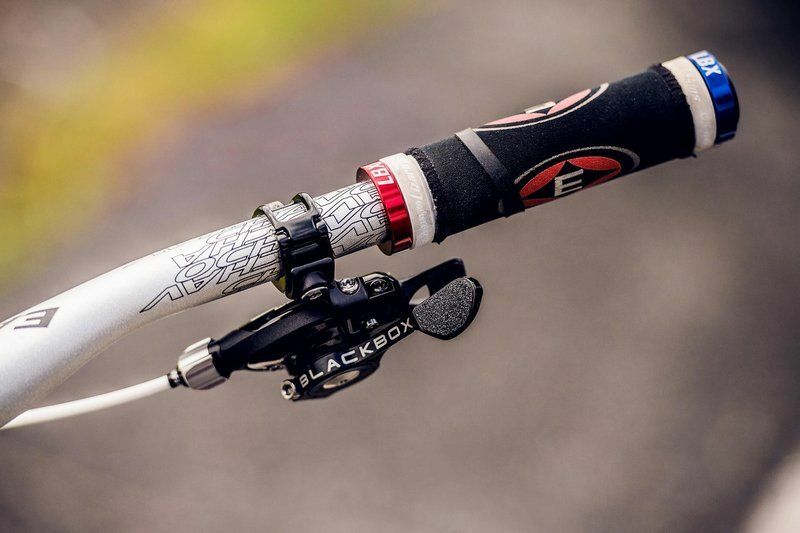 The following few bike hacks are more modifications that you can make to your bike. Things that make you ride faster in a race or prevent obstruction. These next few bike tips are for the people looking to add a bit of extra speed to their race run. Cassette spacers. They aren’t anything new. They’ve been around for a while, especially in the BMX or dirt jump world. Dirt jump bikes and wheels often come with multiple gears. This may be fine for some people who don’t just want to ride jumps but might also like the trails. Although for people that are content with riding the biggest jumps possible, derailleurs often become unreliable, heavy and cumbersome. Unless you have the money and are willing to buy a whole new rear wheel or rear hub when converting, you’ll end up needing to buy a conversion kit, just like the one linked below. These kits come with multiple cassette spacers. They are designed to take up the excess space left behind by all the chainrings from when you had gears. They also help you get the rear chainring right in the middle, to ensure your chain won’t keep falling off. Let’s get to the point. If you’re racing 4 cross or downhill, you often don’t need a full 9 gears. I doubt you’ll be getting into first, second or third gear whilst racing down a hill. You could do what Steve Peat does. He has taken off his easiest gears and fitted a homemade, wide spacer that keeps all the rest of the gears in the right place. Click HERE to view some great cassette spacers if you want to have a go at doing this yourself. Downhill racers are now becoming more and more like formula 1 teams. The differences between winning and losing are absolutely tiny and this has lead to many bike mechanics making their own little adjustments and modifications to enable a faster, more efficient run. A couple of adjustments I have come across are the gear levers. Everyone knows about moving your brake and gear levers away from your grips to give yourself more space but what if you still can’t move between your gear lever and your grip fast enough. There are two ways to rectify this. If your gear levers are metal then I suggest cutting the excess off until it’s more like a thumbprint size, smoothing out the cut edge and finally grinding some grooves into the remaining metal. This may not seem like it does much but it’ll ensure the rider's finger doesn’t slip off while riding. Secondly, if your gear lever is made of plastic or is metal but you don’t want to cut it up I suggest you glue a bit of either sandpaper or grip tape. It’s much more likely that you’ll break the plastic when cutting it. Another good reason to do this is the fact that after a lot of riding both metal and plastic get very smooth. If you add a nice little bit of grip tape, like in the image above, to the lever, you’ll keep it in good condition while also giving yourself a lot more grip. I’m not sure if this hack is really going to help you better your riding or make life easier but I have seen a good few riders doing this. A lot of professional riders are wanting quieter bikes and with the presence of gears, that is hard to do. Adding the fluffy side of some velcro to the inside of your chain guide can work very well for the objective of keeping your chain quiet. After adding the velcro some riders will burn the velcro a little with a lighter although this is personal preference whether you do or not. Don’t Snap Your Brake Levers. This mountain bike hack may be obvious for many people but it is worth a mention. 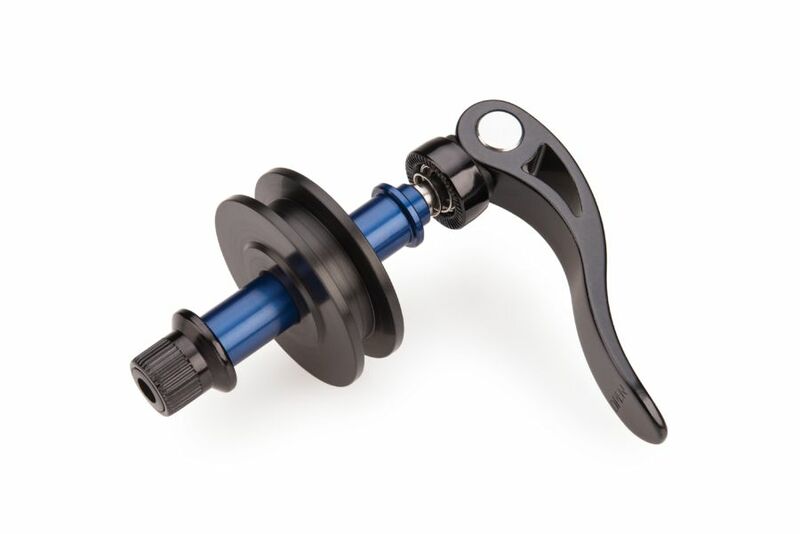 A lot of riders are spending a lot of money on brakes and gears and rightly so in my opinion but just like motorbikers have had the problem with snapping footpegs and brake levers for years every time the bike falls over, mountain bikes often have levers snap too. All it takes is a bash into the ground or a tree at the wrong angle there’s one gone. 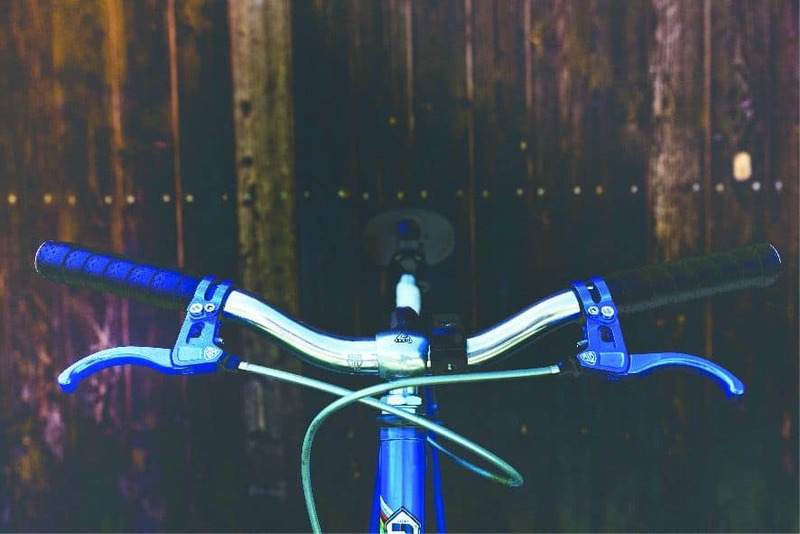 If your levers aren’t rock solid tight and actually move with a bit of force then you’re much more likely to hand on to your brake levers for longer than many other riders. It may be a pain having to move them back into place every time you crash but it’s much easier and cheaper than buying new ones. My suggestion is that you position your brakes and gears where you want them while still loose and then tighten them incrementally, testing how much they move each time. 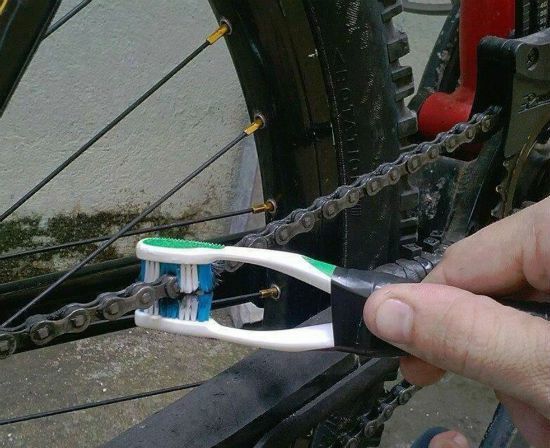 I mentioned earlier while writing about the toothbrush hack that we will come back to another great way to work on your chain without worrying about getting anything on your brakes and here it is. This hack doesn’t just help with working on your brakes, it’s also a good way to work on your gears and make sure they’re working properly. After taking out your back wheel it becomes extremely hard to pedal your bike on a stand without your chain falling off and this could be important while trying to fix a gearing or drivetrain problem. I know there are a couple of dummy hubs out there that can be used for this purpose but if you don’t want to wait for one of those to arrive or if you don’t have a detachable axle then this hack will be useful for you. If you take some hose piping and put it around your axle in the space where your wheel normally goes and obviously wrap your chain around it you should be able to cycle through your gears and pedal normally. 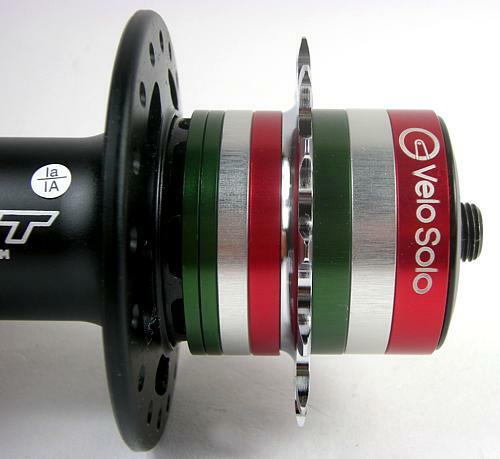 If you are interested in a real dummy hub then check out the one below. Cheaper than a brake chuck. If you haven’t ever taken your wheel out and then pressed your hydraulic brake lever then I don’t think you’ve ever experienced true annoyance. It is beyond annoying and irritating to rectify. What effectively happens is when you press a hydraulic brake without the disk in the gap, the pads will close together and not open again. You’ll have to prize your way in there with something like a screwdriver while praying that you won’t chip your pads. A simple little bike hack for this is to fold up a small piece of paper and put it in there as soon as you take your wheel out. This will stop the pads from closing no matter how many times you press your brakes. Now you can travel with your bike and not worry about pushing a brake accidentally while in transit. I know most people don’t like going out with a massive rucksack and filling it up with stuff you never think you’re going to need. Just like a first aid kit! 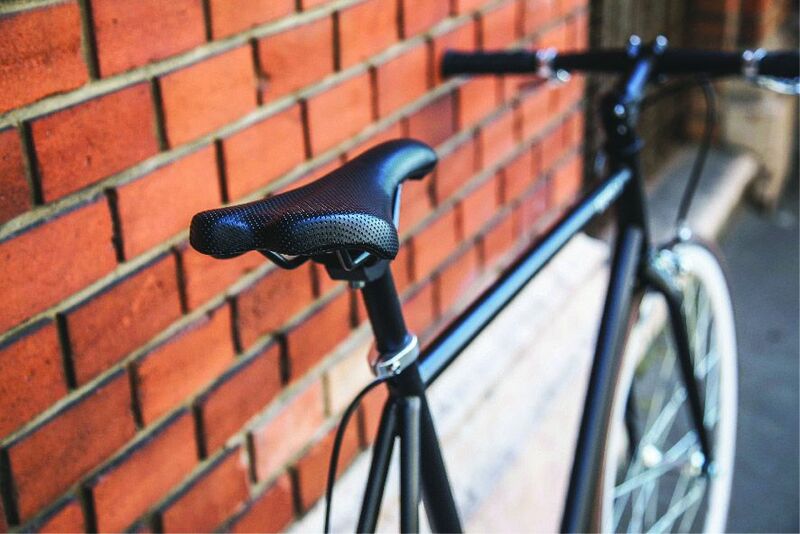 Well if you haven't thought about it before, using your seat post as a little storage solution is a great idea. All you need to do is but some small item that you may need. Maybe a map or a pen or some plasters, whatever you want, in a small polythene zip-lock bag. Then put this bag in your seat post tube before putting in a bar end. A regular bike bar end won’t fit in your seat post. If not then it’s fairly simple to either wrap it in tape or some tie wraps before pushing it back in. I think this is a great idea and can really come in handy if you ever get caught out. So there we go. 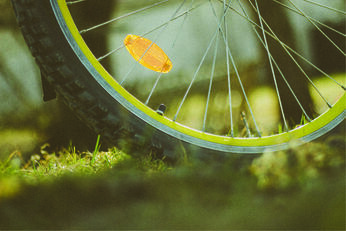 Some of the most useful BMX and mountain bike hacks you could wish for. Please try some of these out and see how they work for you. 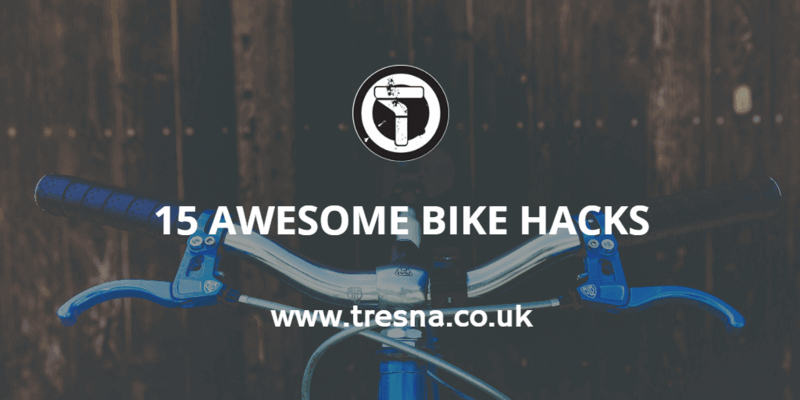 Leave us a comment telling us if these bike hacks worked and any other useful ones you may have. We could add them to the list at a later date.